Prosenjit Chatterjee bonds with Abhishek Bachchan ! 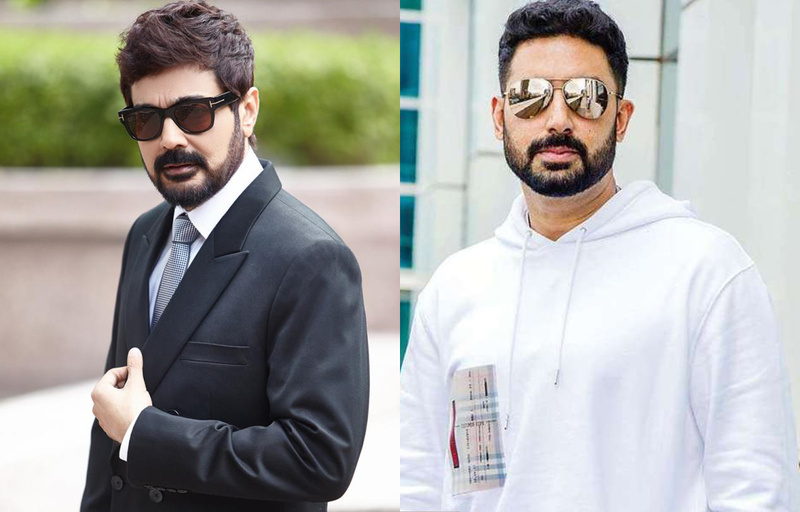 Bengali superstar Prosenjit Chatterjee , yesterday met Abhishek Bachchan albeit over the digital space as the two interacted during a Facebook live chat to promote their respective films Kishore Kumar Junior & Manmarziyaan. Talking about films and their love for Kolkatta , Prosenjit not only invited the Bachchan family to his city but also requested a screening of Manmarziyaan for his friends from the Bengal film industry. Well aware of Abhishek’s sweet tooth ,Prosenjit also sent across Rosgollas from Kolkatta and while discussing his upcoming film Kishore Kumar Junior, Bachchan sung a few lines from his favorite Kishore Da song, Jaha Teri Ye Nazar Hai. This was a special interaction ,as ironically , Chatterjee will soon be seen as the host of “Ke Hobe Banglar Kotipoti” , the Bengali version of the popular game show Kaun Banega Crorepati, made famous by Abhishek’s father, the legendary Amitabh Bachchan. Rajkummar Rao works his Midas touch yet again with Stree !